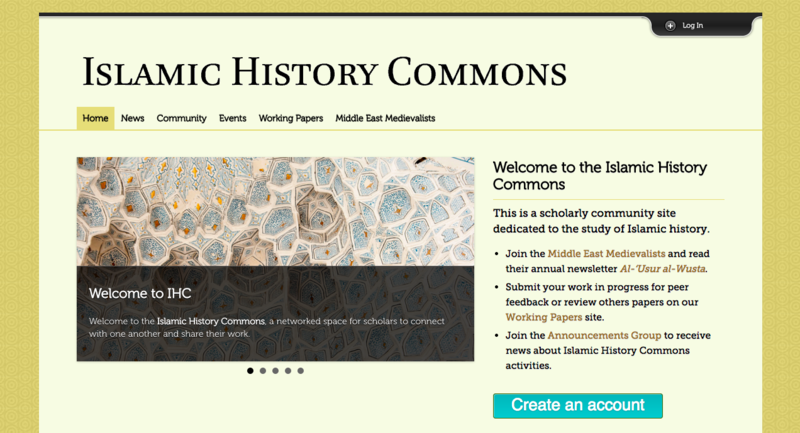 I work as a project manager and community coordinator the Islamic History Commons (IHC), a networked space for scholars to connect with one another and share their work. This project is a collaboration with Graduate Center President Chase Robinson, Associate Professor of English & Digital Humanities Matthew K. Gold, and Maxim Romanov, postdoctoral associate at the Department of Classics and the Perseus Digital Library Project, Tufts University. The IHC community is made up principally by scholars who conduct research and teach on the Middle East (North Africa, the Middle East and Islamic Central Asia) from ca. 600 to ca. 1500 CE, although contributions from scholars working with Islamic sources on the non-Islamic world will also be accommodated. 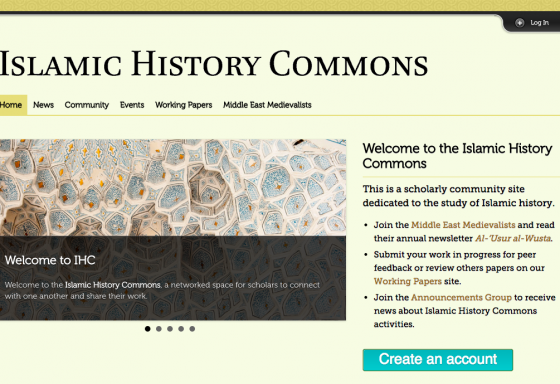 In addition, IHC hosts the Middle East Medievalists, a scholarly organization devoted to fostering communication among individuals and organizations with an interest in the study of the medieval Middle East. As with many of these projects, developer Christian Wach played a critical role in IHC’s technical development.